Most Bristolians that unfortunately suffer an injury in an accident or incident and feel they might have grounds to make a compensation claim prefer to contact local Bristol personal injury solicitors that will be able to advise and help them in what can be challenging times. Our personal injury solicitors in Bristol can be relied on to deal with all of the legalities while you focus on healing and taking care of your other obligations. Can Our Injury Solicitors in Bristol Help You? According to the law in the UK anyone who has sustained an injury that was due to somebody else’s fault may be entitled to compensation to make up for all expenses incurred as well as lost income. While this may seem straightforward, winning a claim for compensation is not always that easy. Not only is there a lengthy legal procedure involved in filing the case but you may also have to attend several court hearings over a period of time where the merits of your claim will be evaluated. All of this has to be done at a time when you are likely to be already stressed and struggling to cope with the aftermath of the accident. 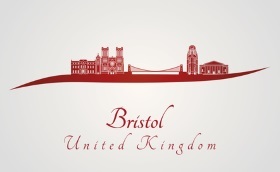 Right at the outset, you will get a free first consultation with our Bristol PI solicitors. We know when you’ve been injured in an accident, expenses can quickly add up. To make it easier for you to file a compensation claim, we do not charge you any fees for the initial appointment, or for representing you in court. You do not have to worry about any legal formalities or about having to pay any fees at any point during the proceedings. You only pay a set fee (more on this fee below) after you have received your due compensation from the defendant’s insurance company. First of all, please contact us free on a landline on 0800 6524 881 or use the green Start Your Claim form. We can then call you back at a convenient time to discuss what has happened. This should only take around 5 to 10 minutes initially. After our experts have assessed the merits of your case we will give you our honest opinion about whether or not you have a strong case and what are your chances of receiving any compensation. If it advisable to go ahead with the claim, we will draw up a formal agreement known as a Conditional Fee Agreement. Under the terms of this agreement, our personal injury solicitors in Bristol will work on gathering the evidence, drawing up a strong case for you, filing the case in court and attending all of the court hearings on your behalf without any upfront fees. After the case is closed and if the decision has been made in your favour, a small legal fee is applicable. This fee is an agreed upon percentage of the compensation received. Right through the proceedings, we keep you updated at every stage so you have the final say on all important decisions. We will not accept any settlement or file any motions unless you are in agreement. In our experience, one of the main reasons why so many people fail to win any compensation for their injuries is because they do not file their case in time. When it comes to personal injury claims there is a statute of limitations in place, which states that all claims must be filed within three years. Failure to do that could mean that you lose your right to claim unless you have a solid reason to justify the delay. Three years may seem like ample time to get the claim files. However, most people tend to keep that on a back burner while they attend to other more urgent aspects- medical treatments, emotional healing, trying to hold on to their job despite the injuries, caring for family. While there’s no denying that tending to these issues should take precedence, getting financially compensated could help ease your burden. By working with our personal injury solicitors Bristol you can take time to attend to your personal matters while we work swiftly to file your compensation claim before the three year time limit. Call us today for a free first consultation for all kinds of personal injury claims, whether you’ve been injured in a road accident, workplace accident, medical malpractice or because of a faulty product.